Canned Food Drive in Full Swing! 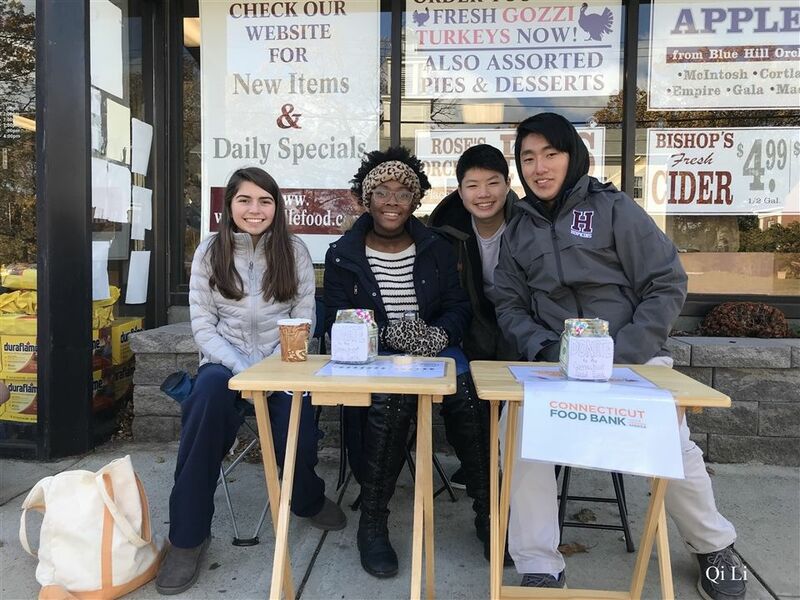 Sophomores Katherine Takoudes, Lizabeth Bamgboye, Jason Guo and George Wang spend a few hours in front of the Whitneyville Market in Hamden, Connecticut, fundraising for the Connecticut Food Bank. The Student Council-lead Canned Food Drive lasted from early November until winter break.